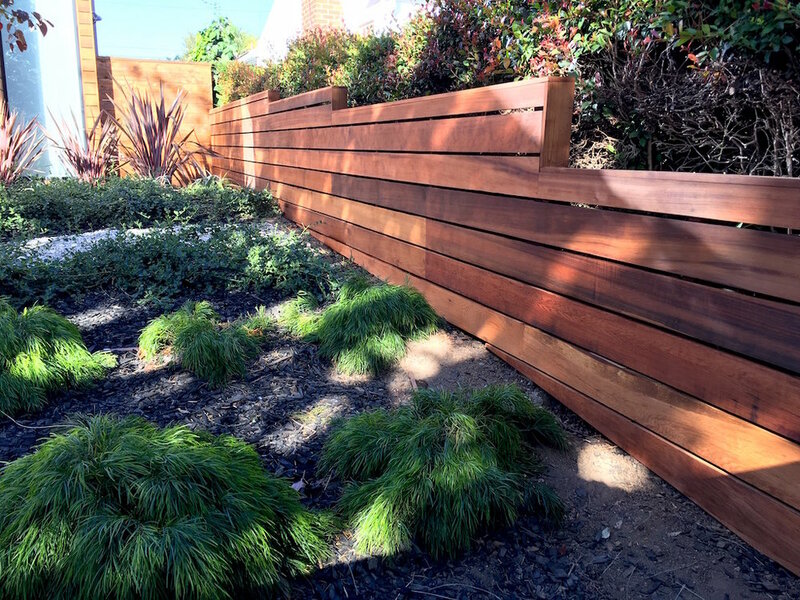 Horizontal Fences have steam rolled their way into our yards and have become the most popular design in Los Angeles. The horizontal wood design is the shiplap of fences. Adding a touch of sleek modern design to any yard, it is no wonder the horizontal fence has wedged its way to the top to being the most popular fencing design. Our horizontal fences often get paired with mid-century modern homes. The result blends the look of the 50's and 60's with a modern border around the yard. Imagine this horizontal design that evolves into staggered designs, using a variety of the peek-a-boo gap sizes between the boards that can vary the look of the fence that add to the design of your yard. Horizontal fences have rightly earned their place in the local neighborhood yards and even larger business properties. The timeless look of horizontal fencing is here to stay and we look forward to making many many more.